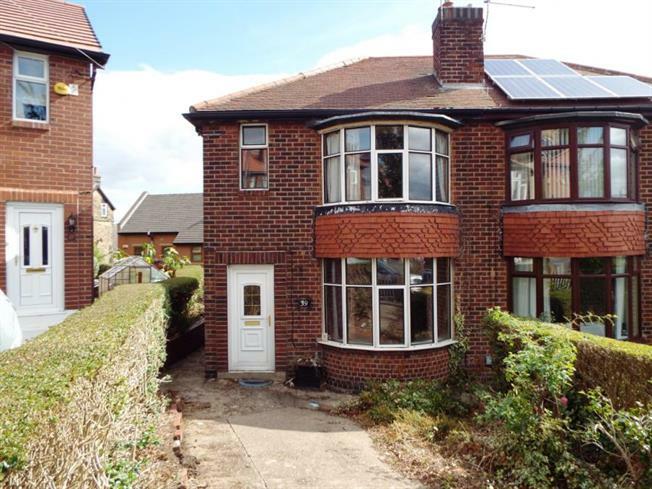 An excellent opportunity to acquire with no chain, this three bedroomed semi detached home located in the heart of this sought after and highly convenient suburb. Offering accommodation over two levels with the benefit of double glazing, GCH, driveway and front and rear gardens. Ideally located for the full range of local amenities in Hillsborough and Malin Bridge including local shops and supermarkets, schooling, public transport links with bus routes and Supertram terminus with access to the city, principal hospitals and universities, local pubs, restaurants and cafes, walks in the nearby Rivelin and Loxley Valleys. The accommodation comprises an entrance hallway with stairs to first floor landing, bay windowed lounge to the front, dining kitchen to the rear with base and wall units, integrated oven and hob, plumbing for washing machine and access to the rear. To the exterior of the property is a drive and garden to the front, to the rear is widening garden providing excellent potential for an outdoor seating and entertaining area. An early viewing is recommended to appreciate the full potential on offer.